Funding granted for a project! Good news, we got funding for a new projet! The project entitled ‘Diversification of recreational activities at Lautaret pass: understanding the cohabitation between practitioners and wildlife‘ is now supported by the Zone Atelier Alpes Edition 2019. The project is carried out by Clémence Perrin-Malterre, Aurélie Cohas and Mariona Ferrandiz-Rovira. In this project we will study this summer (2019!) 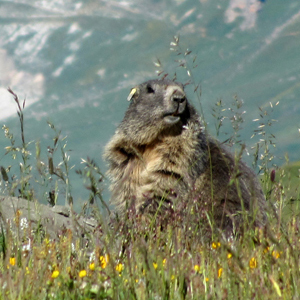 the expansion of mountain bikes – especially electric bikes – and their impact on an iconic mountain mammal: the Alpine marmot. This project is linked to our current reasearch on shared areas between recreationist and wildlife: toward an integrated management of mountain socio-ecosystem. This entry was posted on February 6, 2019 by marmotmarmota in Uncategorized.